Ashok Kumar J. | I.K International Publishing House Pvt. 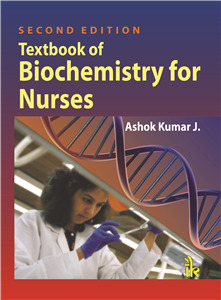 Ltd.
Ashok Kumar J is Professor and Head, department of biochemistry at A.J. Institute of Medical Sciences, Kuntikana, Mangalore. He graduated from Govt. Medical College Bellary (presently known as Vijayanagara Institute of Medical Sciences; VIMS) and pursued his post-graduation from Kasturba Medical College, Mangalore. He started his career as Assistant Professor in Department of Biochemistry, Manipal college of Medical Sciences, Pokhara, Nepal. He has been actively involved in teaching biochemistry to the medical and paramedical students for more than a decade. List of Books written by Ashok Kumar J.